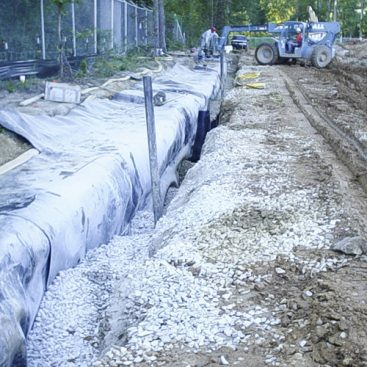 Geo-Solutions was subcontracted to install an excavation support system (ESS) and groundwater seepage barrier as part of the construction of the Flushing Bay Combined Sewer Outfall (CSO) facility in Flushing, Queens, New York. 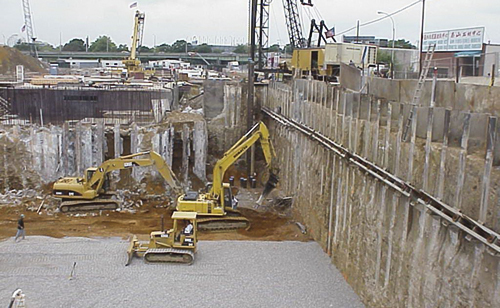 Construction of the ESS wall was performed in a three-step process including slurry wall pre-trenching, deep soil mixing and jet grouting. Pretrenching was performed along the alignment of the ESS Wall approx. 720 linear feet, utilizing a soil-bentonite slurry wall to depths approx. 60 feet below grade. 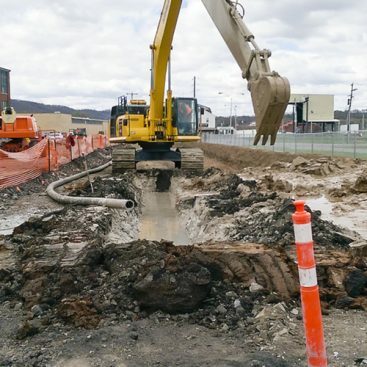 Pretrenching was performed to remove unsuitable materials such as boulders, cobbles and organic material so as not to impede the advancement of the deep soil mixing augers. Deep Soil Mixing (DSM) was performed through the pretrenched slurry wall and down to a specified impermeable clay layer. The DSM wall consisted of approx. 62,600 vertical square feet and reached depths of 96 feet below grade. Within the DSM columns, approx. 153 steel H-beams (W-30) were imbedded to provide structural support. On-site mix plants were used to support both the slurry wall and DSM operations. Jet grouting was used to tie-in the DSM columns to existing sub-surface structures and provided an impermeable seal to complete the wall. 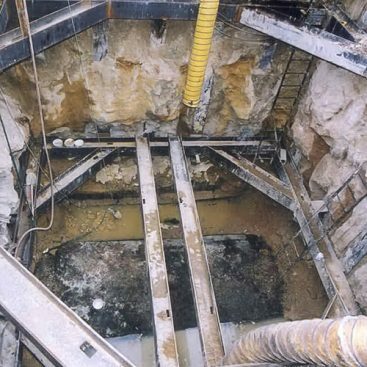 Single-phase jet grouting was used at depths of over 96 feet below grade and enabled tie-ins within limited access areas. Jet grouting also enabled the sealing of subsurface obstructions within the alignment of the wall. 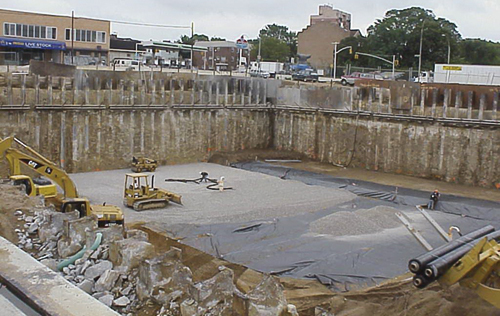 As with the DSM columns, the jet grouting was installed to achieve a target unconfined compressive strength of 300psi. 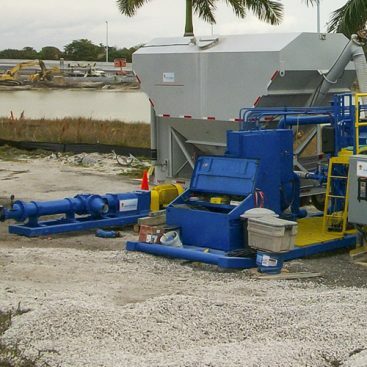 The on-site mix plant was converted to support the jet grout operation.